Students, in so far as they are regarded as immigrants at all, cause least concern. The vast majority leave after completing their studies. A Home Office study of the cohort entering in 2004 found that after five years, only 3 per cent had settled. Concern only rises if there is doubt that students are visa-compliant and duly exit when their visas expire. But it is acknowledged by all sides and underlined by the Home Office’s own detailed analysis that those with visas sponsored by universities have excellent standards of compliance. …one clear solution is to lift university-sponsored students out of the net migration calculation. The case for doing so is overwhelming. These “migrants” are distinct. They are, as public policy in other countries recognises, temporary. They are known to have excellent standards of visa compliance. And, in spite of the Home Office, the government as a whole commits considerable resources to encouraging them to come to the UK. The data needed to separate them is readily available. The Higher Education Statistics Agency collects from its members meticulous detail on each non-EU student joining and completing a higher education course. Every university records student visa start- and end-dates, as well as passport numbers. From this it is possible to derive and publish annual estimates of both the inflow and the outflow of non-EU students who come to the UK for university study. While influential figures in both governing parties are supportive of the proposal, the Home Office is nervous. A spokeswoman has talked of the need to avoid “fiddling the statistics”. No doubt this reflects ministerial fear that any change to the net migration calculation might arouse public distrust. The fear is misplaced. It underrates the scope for raising the level of public debate. The pressure group MigrationWatch UK, often taken to be the fiercest immigration guard dog, repeatedly emphasises that legitimate international students are not an immigration problem. As Acton concludes, students have to taken out of the migration stats. We should be focusing on other migrant categories and not students and then, it is to be hoped, it will be possible to undo the damage done internationally to the UK’s reputation. 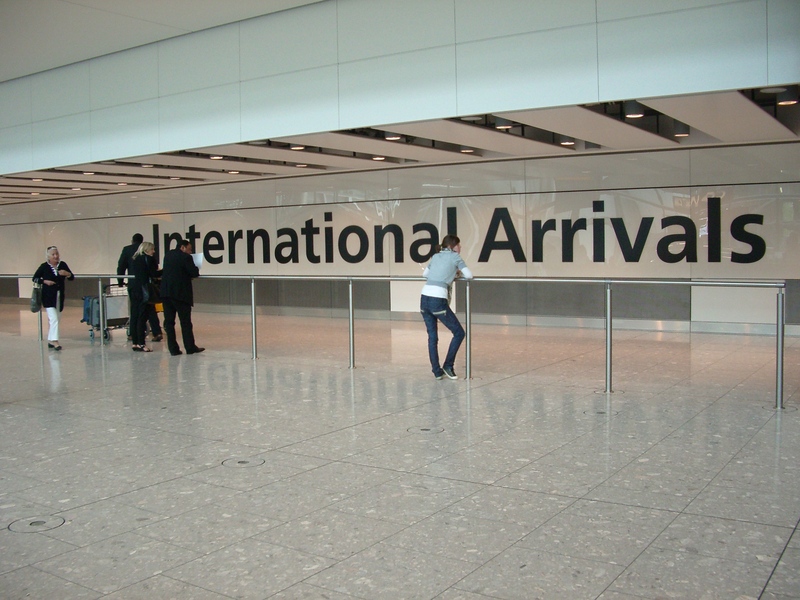 IPPR points out that the UK’s main competitors in the overseas student market – the USA, Canada and Australia – do not include temporary or “non-immigrant” admissions in immigration figures, and says only the 15% of overseas students who stay on to work permanently in Britain should be counted within the net migration figures. More worryingly, it says the government’s plans – which include issuing 250,000 fewer student visas by 2015 – threaten to wipe £4bn to £6bn a year off the UK economy. The major media response to the report will be welcomed by the education sector, and put pressure on the government as it prepares to announce the latest immigration statistics on May 24. Higher education is one of the UK’s biggest and most successful export earners and one sector in which we enjoy a real competitive advantage. Now more than ever we need to support it. The New York Times reports that as a result of the new restrictions on student visas, at least one institution has been forced to close a UK campus. Schiller International University, which is based in Florida and has four other international campuses, is closing its London campus and will not start its autumn semester, which was to begin on Tuesday, officials said last week. The university would not provide enrollment figures but said 80 to 85 percent of its students were from non-European Union countries, which means that they required visas to study in Britain. A person who answered the main office phone at Schiller’s London campus said about 35 students enrolled there last year. “The decision to close our London campus was directly related to the new U.K. immigration rules,” William Moore, executive vice president of the university, said in an e-mail. There doesn’t seem to be any more information on the institution’s website about this but the Education Investor site carries a similar piece to the NYT one. Although the numbers here are small it is nevertheless significant that at the same time as some for-profits are looking to enter the UK market (see previous post), others are pulling out. And it’s another indictment of the government’s quite misguided student visa policy. The Chronicle of Higher Education reports on what sounds like a lively debate on the use of agents for international student recruitment. The practice of paying overseas agents for the students they recruit has become more contentious as it has grown more common among American colleges. Proponents say it can help attract students in an increasingly competitive global student market, and they note that other countries, like Australia and Britain, rely on foreign representatives to bring in students. … Mr. Hawkins questioned paying commissions to student recruiters, saying the practice, when used by for-profit institutions in the United States, had proved “disastrous” in the past. “It creates an incentive to marginalize students’ interests,” he said. So, are they being unduly squeamish? Or is it more about adopting a principled approach to international student recruitment? 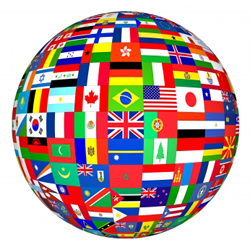 Many UK universities have routinely used agents for international recruitment for many years but the key here is about how you do it and making sure you use the right ones. As Mitch Leventhal of SUNY points out in an essay about engaging properly with agents, it’s essential to maintain high standards. While US universities agonise about this it is of course good news for competitor nations in international student recruitment. And in the UK we need every assistance we can get to counteract the negative effect of the messaging and the practice of Tier 4 immigration controls. Some comments on Going Global 2011 – World Education: The New Powerhouse? I was fortunate to be present at the British Council’s Going Global Conference in Hong Kong earlier in March. There were about 1,000 delegates there and as might be expected for this kind of event many of the presentations were high level and whilst some were pretty strategic others felt rather abstract. There was a distinct UK flavour to some of the discussions and the particular current domestic issues relating to the new English fees regime and Tier 4 student immigration did intrude in a number of sessions. Despite this there was a lot which was of interest including some really good perspectives from other nations. Donald Tsang Yam-Kuen, Chief Executive of Hong Kong spoke about the idea of HK as a regional higher education hub. However, you get the real impression that they won’t be just another regional hub, but rather that they have the foundations, the location, the money, strong institutions and the real vision to do make this happen. Two other points of note here: first, education is the Hong Kong government’s single biggest spending priority and accounts for 25% of annual expenditure (25%! ); second, Harrow School (yes that Harrow) is intending to open a branch campus in HK. Professor Tony Chan, President of Hong Kong University of Science and Technology (HKUST) and Convener of the Hong Kong Heads of Universities Committee, spoke about the changing patterns of international HE and reinforced the commitment to the idea of a regional hub. Hong Kong universities are offering a real international education not the more traditional Eastern model. And, lest anyone doubt the intent here, he noted that HKUST was aiming for 20% international students, increasing international study opportunities for its own undergraduates and more collaboration with universities in mainland China. HKUST is still a young institution but is an impressive one and hugely ambitious: “We are in aggressive recruitment mode for international staff and students”. Three other international perspectives of note here. Professor Olugbemiro Jegede, Secretary-General and Chief Executive, Association of African Universities, Ghana spoke about the challenges for Africa. It was a very long list and the challenges exist across the board. Collaboration and a continent-wide academic framework including mobility and mutual recognition is the way forward. He also noted the importance of using ICT to help the growth of HE in Africa. Ultimately this was an optimistic prospectus but the massive scale of challenges here remains rather daunting. Dr Javaid Laghari, Chair of the Higher Education Commission in Pakistan, reported that Pakistan still has a long way to go to achieve its ambitions for having two universities in the world top 100. Pakistan was seeking to grow PhD numbers significantly, including through split PhDs with foreign universities. And all of this was happening in the context of being in the ‘frontline of the war on terror’. Again we were given an optimistic outlook but these are really challenging circumstances in which to be growing and strengthening HE. Dr Carlos Alexandre Netto. President of the Federal University of Rio Grande do Sul, Brazil, gave a sense of the huge scale of HE in his country. With over 2,000 institutions but only a 15% age participation rate there is ongoing major growth in public university enrolments. Most HE students are at private universities though and growth in student numbers is actually being funded through loans for private university study. A major quality assurance operation now been through its first cycle. Overall, left with the impression of a system of extraordinary scale. Claims that the UK government is cutting funding for higher education are “not factually accurate” and gloomy media coverage is damaging the sector’s reputation overseas, according to the president of Universities UK. Steve Smith, vice-chancellor of the University of Exeter, told an audience of international higher education leaders at the Going Global conference in Hong Kong last week that the reality of the government’s funding changes in England was “rather different to the headlines”. He also countered suggestions that fees for overseas students would triple and described the UK as still being “welcoming” to international students despite visa restrictions. Both were therefore arguing there would be more money in the system, international fees would not be tripled (although the contrast with David Cameron’s assertion in China last year that international fees would actually be reduced to bring them in line with domestic fees was noted by the anoraks) and international students would continue to be extremely welcome in the UK (although this is somewhat at odds with the Government’s proposed Tier 4 visa changes). 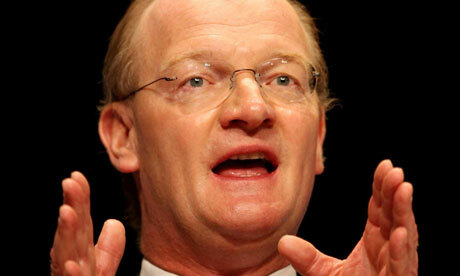 Willetts said he was embarrassed by small number of UK students going abroad and says Government was trying to help with this (but it was far from clear how this help would be offered). Steve Smith meanwhile added that the revised visa proposals which would be published soon would be good news for universities and international students. We’ll see. World education may or may not be the new powerhouse but the challenges in some parts of the globe remain huge and in other areas the difficulties are self-imposed. Overall though there seems to be a strong degree of consensus that the future of HE is global. 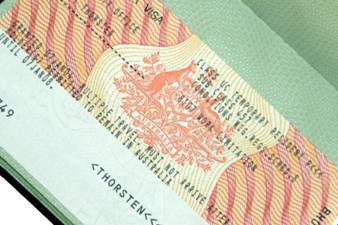 Times Higher carries an interesting piece on changes to student visa arrangements in Australia. Universities in Australia have welcomed the “timely” decision by the country’s federal government to review its student-visa system in light of the recent collapse in demand from overseas students. Ministers announced the review last week alongside an immediate package of measures designed to ease restrictions that have been partly blamed for the decline in applications from key markets such as India and China. Although other factors such as the global recession, the strong Australian dollar and the fallout from attacks on Indian students have also hit enrolments, the government has come under pressure to change its visa policy. Concerns have also been expressed that the Australian government was giving overseas students the impression that it was not “open for business”, with the result that students were heading for competitor countries such as the US, Canada and the UK. Given the decidedly unfriendly tenor of the government’s latest immigration proposals, this move could reverse the flow of traffic. Good news for Australian HE, not good for UK universities (or the UK economy). The government intends to reduce annual net migration to the UK to sustainable levels, in the tens of thousands a year. It has made clear that it expects the student route to make its contribution towards reducing net migration to the UK. Students now represent the largest proportion of non-EU net migration. We need to ensure that the number of international students coming to the UK is broadly in balance with the number leaving. The government’s policy aim is to ensure that only genuine students who are committed to their academic study come to the UK, with a presumption that upon completion they will leave promptly. This consultation sets out our proposals for achieving this aim. “It is crucial that the UK continues to attract the very best academics and students from around the world if we are to maintain our global standing in higher education. There is a fierce global market for the best academic talent, and our track record in attracting international staff and students has made a very important contribution to the considerable success of UK higher education to date. “Changes which make the visa regime stricter can severely diminish the international attractiveness of a nation’s universities. It is crucial that the immigration system continues to support the efforts of our leading universities to attract talented people who have a legitimate interest in studying, teaching, or carrying out research here. Universities are a big export business, bringing in £5.3 billion a year to the UK economy each year (according to UUK). The consequences of this change could be disastrous. Surely we should be seeking to sustain this rather than seeking to turn off the tap? The UK Border Agency has given each university a quota on recruitment from non-European Union countries under Tier 2 of the points-based immigration system, which covers “skilled workers”. The quotas cover new visas – and renewals for existing staff – between 19 July 2010 and 31 March 2011, when the permanent cap will be imposed. The government’s interim immigration cap has left one of the UK’s major research universities able to recruit or keep only 78 “skilled” overseas academics this year – and the permanent cap could bring further reductions. The institution in the THE report is UCL but Nottingham is in almost exactly the same position. We are a global university operating in a global market. We have to recruit the most talented academics and researchers, wherever they come from, in order to sustain our international competitiveness. It is only by sustaining and advancing our excellence in research, teaching and knowledge transfer that we can deliver what the country demands from a leading university. Measures which hamper our ability to recruit the best staff inevitably risk jeopardising the success of this enterprise and the efforts of other leading UK universities. At a time when the country desperately needs its universities, which are among the UK’s best export businesses, to perform to capacity, it seems perverse to put such constraints on us. The UK’s immigration policy needs to be robust and transparent but it will be counterproductive if it reduces the competitiveness of such an important export industry as higher education. Universities UK has been working hard to persuade government to think again and the University of Nottingham has also been talking to our local MPs, resulting in my first (and, in all likelihood, last) appearance in Hansard.